BlackBerry 8820 on the move | BlackBerry Blast! 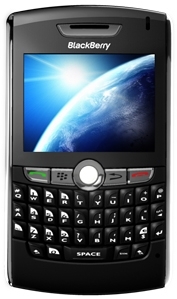 According to BGR, AT&T has begun shipping the BlackBerry 8820 to several of its warehouses around the country. They are trying to do this as quietly as possible so people do not simply wait for the 8820 and leave AT&T with a stock of 8800s that they can't get rid of. According to BGR, AT&T is only shipping the BlackBerry 8820 to those stores that have already run out of the 8800. You might get lucky if your local store is out of the 8800, but at this point it is doubtful that the 8820 will be released yet. It should be fairly soon though.